Josef and Debbie (directly above) They were two of over twenty eight volunteers that helped out at some point this morning for our Saturday Work Day (not including our wonderful Janesville Area Herb Society which also was out gardening). 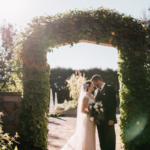 Josef and Debbie have recently moved to Janesville from Duluth, MN where they owned and operated a nursery. I know them prior to their move as we’ve purchased plants from them in the past and are excited that they are now local (and already volunteering!). Other planting volunteers included Arnie, Leslie, Cheryl D., Sue, Andrea, Brian, Mary W., Barb, Maggie, Hal and Doris. 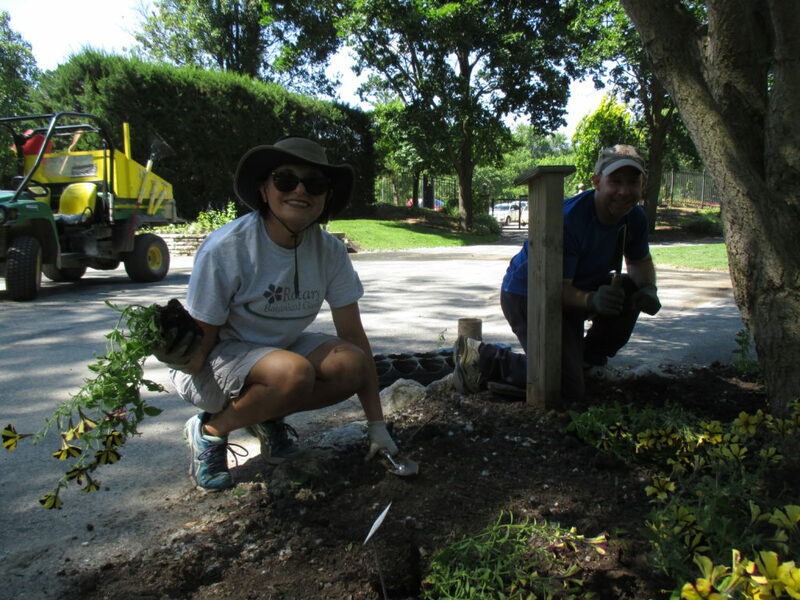 We also had eight members of the WI/IL Chapter of the North American Rock Garden Society on hand to help weed and plant in the alpine garden under Iza’s guidance. Their crew also included Joy, Ed, Damon, Jane, Dave and others. 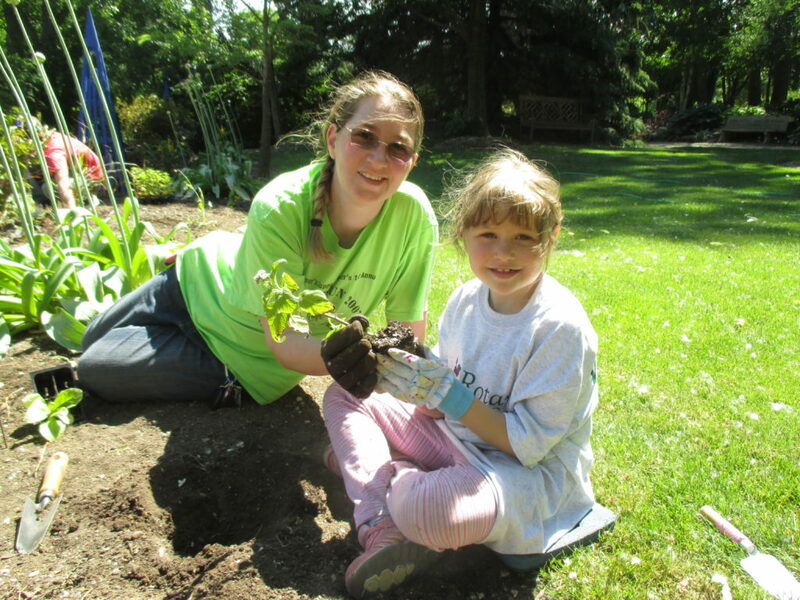 We also had four moms with their girl scout daughters do some planting along with Chris, Tess and another volunteer. We planted four smaller areas and finished some others. It was hot and dry and watering was vital and accomplished primarily by Big John. Larry O. and Bill were out doing their thing (watering containers, tidying wedding sites, checking garbage, etc.) and Sue and Steve were our Garden Ambassadors earlier in the day (see below). 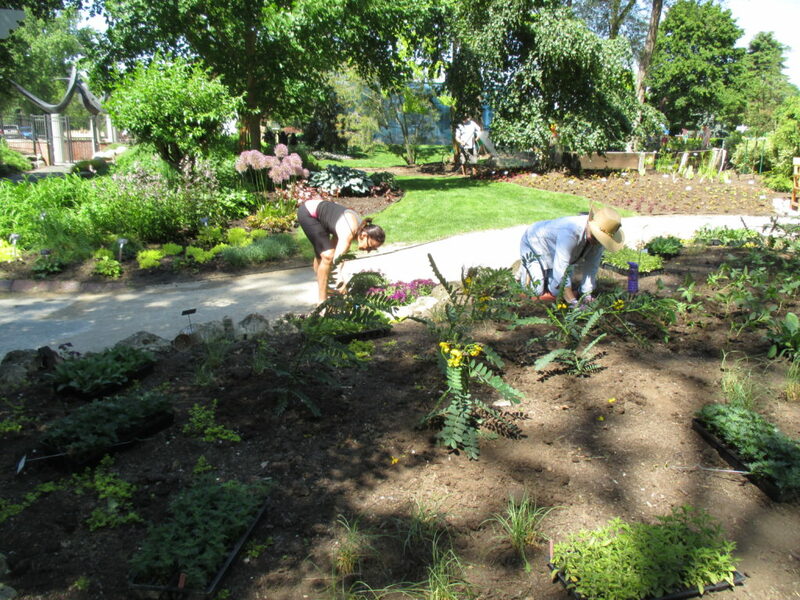 The Janesville Area Herb Society had a brief meeting followed by planting and watering in their three garden sections. It was a very successful day. 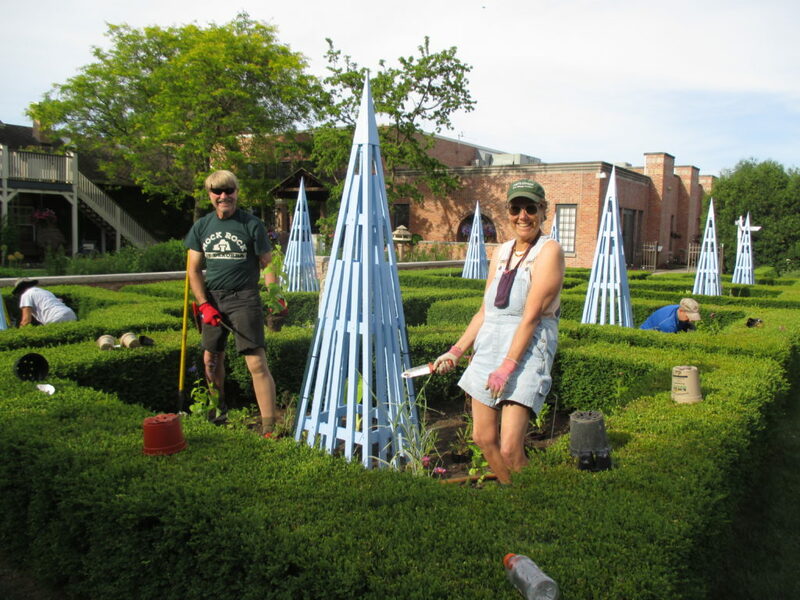 We still have one more Wednesday evening (6 pm – 8 pm) planting parties (RSVP required) and next Saturday (June 17th) is our last Saturday Volunteer planting opportunity. 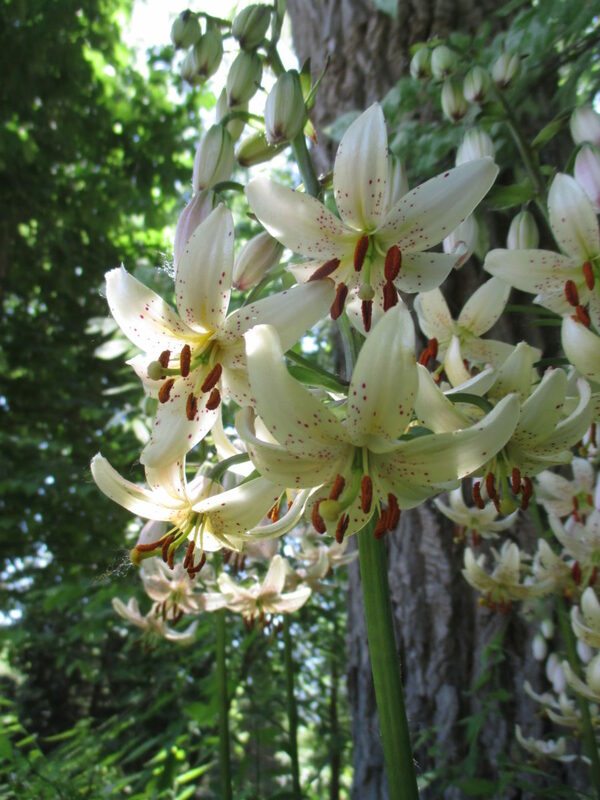 The top photo is a clump of white Martagon lilies (Lilium martagon ‘Albiflorum’). eight members (some off camera!) 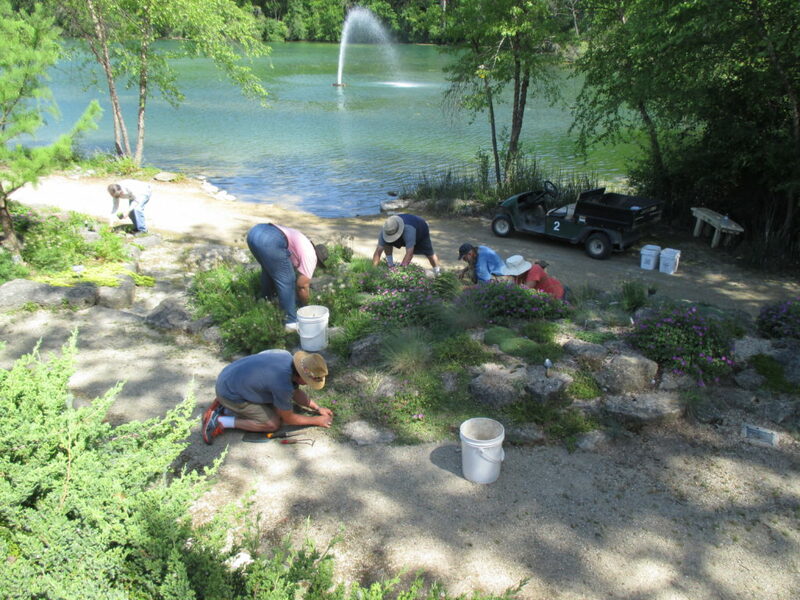 of the WI/IL Chapter of the North American Rock Garden Society were on hand to weed and plant in our alpine garden today! four girl scouts (like the young lady above) worked with their moms on a planting project this morning! 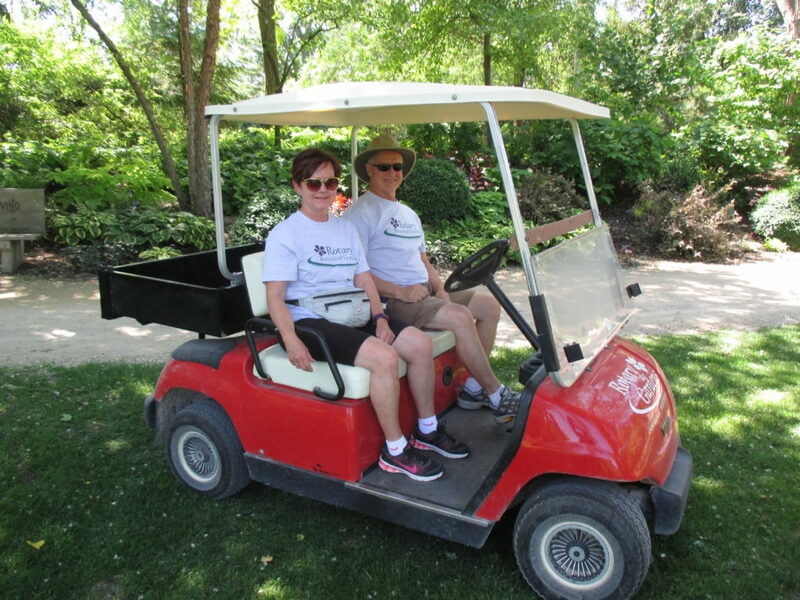 our top notch Garden Ambassadors, Sue and Steve E.